What could be more exciting than savoring special meals amid natural surroundings and sipping local special rice beer? Our 6-Days TUTC Kohima Luxury Camp Tour Package enables you to explore the unexplored picturesque state of Nagaland with TUTC Kohima Luxury Camp that also gives you an opportunity to attend the 10-day Hornbill Festival. 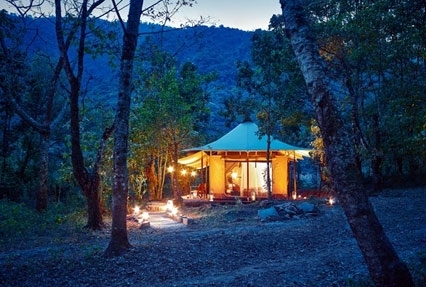 Enjoy the experience of staying in camps, spanning a duration of 5 nights and 6 days. 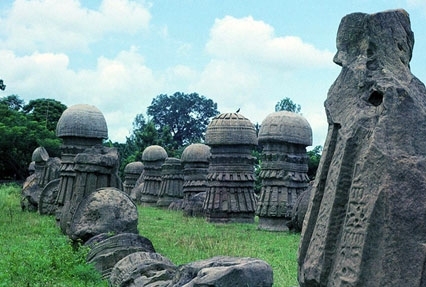 Nagaland, also known as the Land of the Nagas or the last head hunters is famed for its exotic cultural experiences. 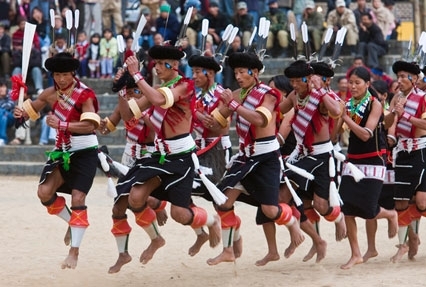 The colorful cultural event comprises of 16 tribes of Nagaland. During the camp, bask-in a comfortable stay in exclusively-designed tents with attached bathrooms, butler services and other services as well. Do not miss to partake in the festivities and savor the tribal recipes. Special meals amid natural surroundings, savor local special rice beer. Stay in luxurious Kohima camp. Attend the wonderful, colorful and cultural Hornbill festival. Attend a Naga rock band performance/ Miss Naga contest/ Shopping at the Night bazaar/ Attend night events. Explore Angami villages like Kigwema, Kisama, and Jakhama. Sightseeing in Kohima including War Cemetery. Afternoon arrival in Dimapur. Meet our tour representative who helps you with an assisted transfer to the Kohima Camp, Nagaland. This journey is of around 3 hours. 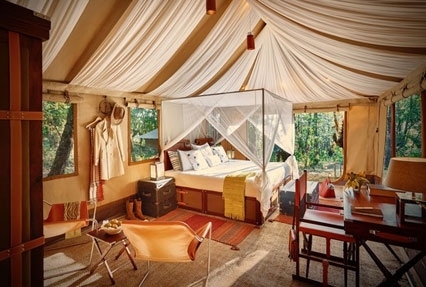 Arrival at the camp, have a traditional welcome, complete the check-in and settle in your luxury camp. Placed at the foothills of Japfu Mountain, the camp and its surroundings are filled with peace and serenity. Pass the evening in the tranquil environment of the camp. Relish a special drink while sitting by the campfire. Later, relish a special meal, amid the camp's natural setting. Overnight at Kohima Camp, Nagaland. On day 2, post a relaxed breakfast, begin driving to the village of Kisama for partaking in the spectacular Hornbill festival- a great colorful mélange of traditions, art and culture of 16 tribes of Nagaland. Notice the clothes, headgear, folk music and dance forms, paintings, handicrafts, handlooms and other interesting things, belong to the Naga tribes. Attend various events like archery, wrestling, motor rally, chilli eating content, a literary fest and more. Back to the camp for sumptuous lunch. Again, in the evening, if you want, you can go back to attend the Hornbill festival. You might attend a performance by a number of Naga rock bands or may shop for some amazing artefacts along with relishing local dishes at the night bazaar. Miss Nagaland contest might also the highlight. On day 3, after breakfast, move out from your camp to attend the festival. Be a part of the vibrant interesting festivities, various performances, unique costumes and more. After a sumptuous lunch at the camp, you have options to choose from. You can simply relax at the camp or can visit the pleasant, old and serene Kigwema village, belonging to the Angami tribe. It is said that the several other Angami villages had originated from this village. To explore, keep walking through the village lanes, noticing the local traditional homes with interesting wooden pillars. You can also visit the house of a local to see their lifestyle. In the evening, there is an option of attending the cultural festivities of Kohima. Back to the camp for dinner. Stay overnight in Kohima camp. The day is scheduled for sightseeing comprising of the prime attractions of Kohima, Nagaland's capital city. Kohima played an important role in II World War, when the Naga tribe fought along the Allied forces, against the Japanese forces at the tennis court of the house of the British Deputy Commissioner. The first visit of the day is to the war cemetery that has been founded on a terraced-hillside. Alongside, it is a private museum housing splendid artifacts from the War. Continue your sightseeing by having an excursion to the Khonoma village of Anagami where you savor sumptuous lunch of local delicacies. The houses here have a traditional architecture with carved gateways, surrounded by stone walls. You can also take part in local games like wrestling of the local warriors. Back to the camp for special sun downer and dinner. Overnight stay at Kohima Camp. After breakfast, spend the day at the Hornbill festival, enjoying its festivities. Have a leisurely lunch in the calm surroundings of the camp while reading a book, embarking on a leisure walk or engrossed in a game of chess. The other option is to get a glimpse into the rich Naga culture by visiting Jakhama village (around 5 km from the camp). Constructed in unique designs and styles, the houses in Jakhama look charming. Do visit the huge granaries that have been used for storing grains for years. Savor a glass of 'Khie', the local rice beer. Back to the camp for dinner, before which if energy and time permit, you can attend the various night events. After breakfast on the last day of the tour, get transferred to the Dimapur airport to board the flight for your onward flight.